With Barry Gibb, February 2013. Over the course of my broadcasting career I’ve been incredibly fortunate to interview so many people I admire, from music legends to sporting heroes to movie stars to Prime Ministers. People often want to know who was the funniest, friendliest, the most down-to-earth and of course, the worst. 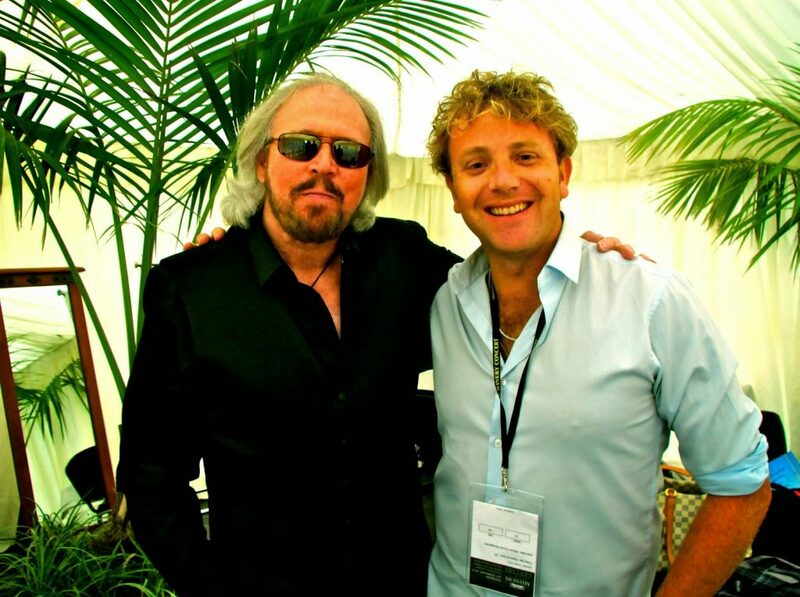 The truth is, most have been very friendly and humble, though none more-so than Barry Gibb who has more humility than should be humanly possible for someone who’s written 21 US or UK number one hits. Mick Fleetwood was a cordial English gent with the most spectacularly long answers, Brian Wilson optimistically insisted all I would need to get backstage at his concert was to say his name, John Mayer was coincidentally in the same hotel room he’d written Daughters in and was anything but arrogant, Sheryl Crow was pleasantly fascinated with my obvious affection, Lionel Richie greeted me like a long lost friend, Russell Crowe was full of charm, eloquence and passion over the phone, but less forthcoming in person, while Deborah Harry (Blondie) dismissed me as an ill-prepared 21 year old (in which she was 100% right). Bee Gees legend Barry Gibb on how he dealt with the backlash after the Saturday Night Fever years. Dixie Chicks lead singer Natalie Maines shortly after saying she was ashamed George W. Bush was a fellow Texan. Fleetwood Mac’s Lindsey Buckingham on bumping into Michael Jackson in the bathroom during the recording of We Are The World. Sheryl Crow on rumours she was going to join Fleetwood Mac. Cliff Richard on why he took to wearing bike-pants with a dinner jacket during concerts in the early 90s. 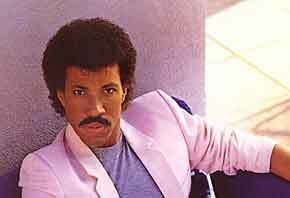 Lionel Richie recalling the days of segregation growing up in Tuskegee, Alabama. Commodores bassist Ronald LaPread on his very first meeting with Marvin Gaye. Simply Red’s Mick Hucknall on meeting his hero James Brown. John Tesh paying tribute to Michael Jackson less than an hour after he’d died. Paul Michael Glaser, the original Starsky, on overcoming the loss of both his wife and daughter to AIDS. Elaine Paige on how her career was nearly over until she had a conversation with Dustin Hoffman that changed everything. Westlife singer Kian Egan on what it’s like hanging out with Bono. Tony Orlando with a story he’d never told in any interview before about a premonition he had while staying with Frank Sinatra that Elvis was about to die. I hope you enjoy the clips and thanks again to my former radio station Easy Mix who made this all possible.